We use a simple approach to SEO. We stay current with the latest industry trends, let our data guide us, and stay constantly transparent with our Chula Vista clients. This mentality has helped us build a business working with clients all around Chula Vista and across Southern California so that we can get them the best SEO results that they can possibly have. We've worked with a number of different companies and industries across Chula Vista, ranging from those that want to emphasize local results to those that want to generate business from the entire market. In either case, we've got your back! We're transparent in every step that we take, starting from the beginning where we get to know your expectations as a client to the end where we've delivered on all of those expectations. We can accomplish this by identifying specific KPIs just as soon as we get going on a project. We don't operate with the 'cookie cutter' mindset that other SEO firms might use, thinking that one size will fit all because we know that every company comes to us with its own distinct set of desires and needs. Given that, we apply ourselves in coming up with customized SEO solutions for our clients in Chula Vista or any other market across the nation that we wind up serving. This lets us serve all of our clients better, ensuring that we're all on the same page from the moment that we meet and greet you. Much like many other businesses, we've worked for many years to perfect all of our processes, as we continue to work on them each day. 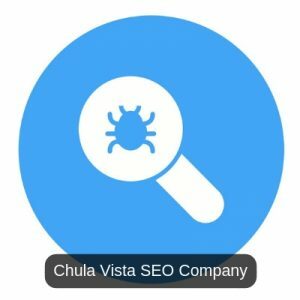 SEO in the Chula Vista market is definitely a moving target at all times. Google is always updating their search algorithms, which means that our team is always researching, testing, and reviewing various SEO tactics so that we can know what will and won't work for our clients. Whether it's organic, local, regional, or national SEO campaigns that we do for clients, we know that they all require robust processes and solid planning in order to get SEO results nowadays, and that's why we focus on this every day of the week. Every phase of our projects is crucial, but the discovery phase might just be the most essential one of them all. This is typically our initial contact with any new client, so we need to get things right from the start if we're going to make SEO gains. This is usually the point in any project where we start honing in on a client's key performance indicators, or KPIs. We ask our clients flat out what they're hoping to get accomplished. Many of our clients know they'd like to get ranked on page1 for something, but our conversations with clients wind up deciding what that something might be and how we can specifically track it. Every client is different, and some prefer phone calls whereas others like online sales, but in every case, we have to first figure things like this out so that everyone's on the same page for the duration of the SEO campaign. Once the discovery phase is finished, then it's time for our team to start working on formulating a strategy so that it can be communicated to the client. There are many things that we have to take into consideration, such as our strategies for on-page and off-page SEO, any relevant local SEO, optimization for Google My Business if possible, and how ROI will be determined with SEO, among many more. We've gotten really good at communicating the things that need to get done in clear and simple ways so that we don't drown our clients in excessive SEO jargon. After the strategy has been communicated, then the time has come for us to get things going. This is when we typically have a call with our new client to make sure that we have all we need, they have all they need, and everyone understands how things are going to work. In specific, we like to make sure that our client understands the reporting process we use and who they can reach out to if they have any questions about their project or any other facet of digital marketing that we might be doing for them. For us, this is when things get fun. Now that we've gone through all the planning and talking, the time has come to get working. The implementation phase is where we begin putting our SEO work into place. Everything that was identified, decided, and outline in the previous phases now comes together. When we have the KPIs and know that all interested parties are speaking the same language, our team gets to work with confidence, hammering away at the whole list of items and tasks that will give you, the client, the results you expect and deserve. That's honestly one of our favorite things about being an SEO agency. When the implementation phase starts getting chipped away, we'll also start the phase of reporting and reviewing. Our team is always looking at client projects, but this is a specific internal phase where we look at things internally before reporting to our clients per agreed timetables about the particular KPIs that matter to them. It's critical to get this phase right for us because it lets us know we are actually moving the needle for you and that we're communicating with you effectively. Most SEO businesses just rely on automated and even generic reporting that goes out monthly to clients, but we've never liked working that way. We manually go over our data and analyze is based on your KPIs rather than ours, sending you reports with bullet points and related supplemental information so that you know just what's happening all along the way. This, we think, is a big reason why we enjoy one of the industry's highest client retention rates, as a lot of our clients have stayed with us more than half a decade. An SEO strategy that focuses on the markets immediate surrounding the local area of your business is Local SEO. To exemplify, Local SEO focuses on a certain area in order to maximize optimal exposure to that local area such as a metro area. A Local SEO campaign’s core focus is to optimize a GMB, or Google My Business profile, for Local SEO. This can be accomplished by building references and citations for local SEO and a bunch of other items that strengthen your profile in order to be sure that you are getting quality results in the local market, such as creating and improving SEO focused content and strengthening your on-page search engine optimization. Focusing attention on the local area and choosing the #1 search terms is the most important thing, as this can provide the best exposure for your business. Of course, all of these aforementioned actions and steps for Local SEO aren’t a comprehensive list, but they start to paint a picture of just some of what we do for our local clients in order to get them the best search results they can acquire. A lot of our clients are curious about how Local SEO and Organic SEO differ from one another. These are independent strategies and they can be used in a totally inclusive Local SEO campaign but nevertheless work in tandem. Moving into a wider region and out of just a small niche area specific to one locale, a Regional SEO strategy comes into play. Local SEO and Regional SEO can not always work in tandem with one another for a variety of reasons. A lot of the deliverables that were mentioned above do remain a focus when working on Regional SEO and Local SEO in coalition with one another. Important to remember is that in order to get the outcomes you’re expecting in Regional SEO, one must comprehend the absolute importance of content. SEO content is crucial and it’s necessary that a good amount of results be generated by using either us or the client to get results in this area. It’s about having a lot of content to publish and then going another step and putting in the work to optimize that content. This means building authority links to the websites and sending constant multiple indicators to Google to show what your site is about. Also, additional information like the geographical operating area of your business is incredibly beneficial as well. Similar to Regional SEO is National SEO. In this type of campaign, we and the client work together to choose the focus as solely national and only focused on organic listings, or a different approach. Some clients choose to focus on both local SEO and national SEO. If there is a large area where your business has a presence, e.g. many locations in multiple metropolitan areas in the county, well then you should consider local and national SEO. Yet, our focus would likely shift gears to only organic listings if your business has a website for which you want to increase its exposure nationwide. We understand that this is a wealth of information that when taken in all at once can start to appear overwhelming and even unmanageable. This is especially true for those who are not familiar with SEO. If you pick up the phone we can help provide you with some clarity and help to guide you towards the choices that will be best for your business. Our presence internationally has been on the rise and we have worked on SEO in the UK for several clients. The differences in application and many of the ideas that were mentioned above is minimal to none. These can all be applied to other countries where you are looking to make your mark. International SEO will be designed to custom fit your specific wants and needs. In general, we work on International SEO in English speaking countries. However, we have also developed and delivered on campaigns in other languages where we optimized and improved client-generated content in order to deliver the same results afforded to those right here in the U.S. Experience. Time. Education. These three qualities have allowed us to hone in our skills, smooth out our processes, and increase our expertise in SEO. We have assembled an incredibly competent and hard-working team; this allows us to serve our clients in Chula Vista, CA. With one-of-a-kind goals and desires, we understand the needs of our clients and feel incredibly proud to tailor a Chula Vista SEO campaign that is exactly what your business needs. We can help steer you in the right direction and make sure you achieve your online marketing objectives. Our clients are varied across industries and company sizes, so we are ready for whatever business you have. We are always ready to speak with you about any and all SEO needs you may have. We appreciate your time and look forward to helping you get results.